According to the Ministry of Agriculture and Rural Development, the Mekong delta has 1,284 communes implemented the government’s rural plan accounting for 14 percent of the country’s. So far, the region has nearly 300 communes achieving standards as per the governmental plan, higher than the country’s average rate and per capital income also increases nearly 10 percent ; residents’ living condition becomes better. "In these ending days of April, if you have time to drop by An Luc Long -new rural commune in the Mekong delta province of Long An’s Chau Thanh District, you will see changes. Since dragon fruit becomes the major tree to help residents escape poverty, commune dwellers get wealthier", said Ha Minh Tuan, secretary of An Luc Long Party Committee. Face of the commune is brighter with tarmac paths and cement bridges. Along the roads are spacious schools and houses with trees being heavily laden with dragon fruit. Mr. Tuan added that the better life is result of concerted efforts of government and residents. Before, the commune just achieved ten out of 19 standards ; therefore the commune authority was decisive to both build cultural and new rural commune. The entire machinery of state and residents have made concerted efforts for present good results. People’s living condition is improved much with the average per capita income of VND43.5 million annually plus 40 km roads being built new. The poverty rate is 1.84 percent. 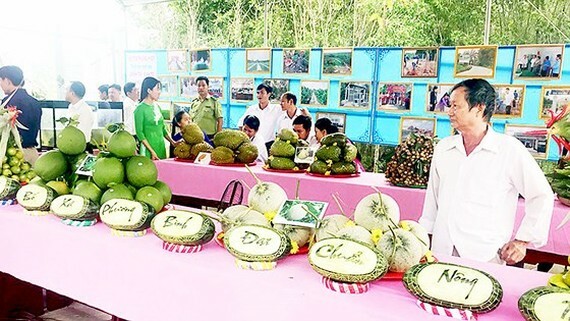 On the occasion of the 43rd southern liberation anniversary, locals in the Mekong delta province of Hau Giang’s Phung Hiep District receive the title of new rural district . Local Pham Van Thach in Phuong Hoa village in Phuong Binh Commune said locals and administrations have joined hand to build path through the village which had been muddy when it rained. Kids can ride their bicycle to school not fall down like the old days. New path has facilitate sale of agro-products. Phung Hiep District has high rate of poverty households in Hau Giang Province. Locals in Phuong Binh commune lead a difficult life. Over 80 percent of 4,000 households in the commune live on farming. Realizing that people are still poor, administrators reviewed achievements monthly to encourage people to take part in the government’s plan , said Party Chief in Phung Hiep District Nguyen Van Lay. At present, Phuong Binh Commune has built 29.5km roads, expanding 24km paths and 43 bridges. The commune also built embankments against flood to protect the farming land of 2,400ha. Protection dykes are helpful in prevent flood; hence, several residents make rich by farming. For instance, farmer Huynh Van Son, farmer Le Van DInh, farmer Tran Van Nhut net VND100-300 million annually from vending fruits . around 100 households in the commune earn such income. Tan Dan Commune in Dam Doi District of Ca Mau province is the commune achieving the governmental plan’s standard. It is obvious that face of the commune changed better with new houses and flower garden in front of the houses and along roads. 67 year old farmer Nam Dung in the commune said many locals escaped poverty thanks to their determination and government’s good plan. Per capita income in the commune is VND39 million annually in 2017 and the rate of poor households is 2.1 percent. 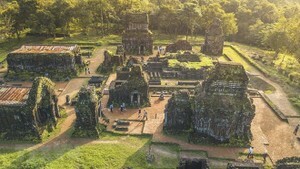 The commune tried to have per capita income of VND42 million in 2018.